The Chicago Blackhawks have traded forward Artemi Panarin to the Columbus Blue Jackets in exchange for forward Brandon Saad. The 25-year-old Panarin won the Calder Trophy in 2016 and had 74 points in 82 games last season, including 31 goals. In his first season with the Blackhawks, he had 77 points in 80 games. The Russian winger spent much of his time in Chicago with Patrick Kane and the two were very productive together. Panarin was undrafted and signed a two-year deal with the Blackhawks in 2015 to start his career. Following that, he re-upped with the team in December with a two-year deal worth $12 million. 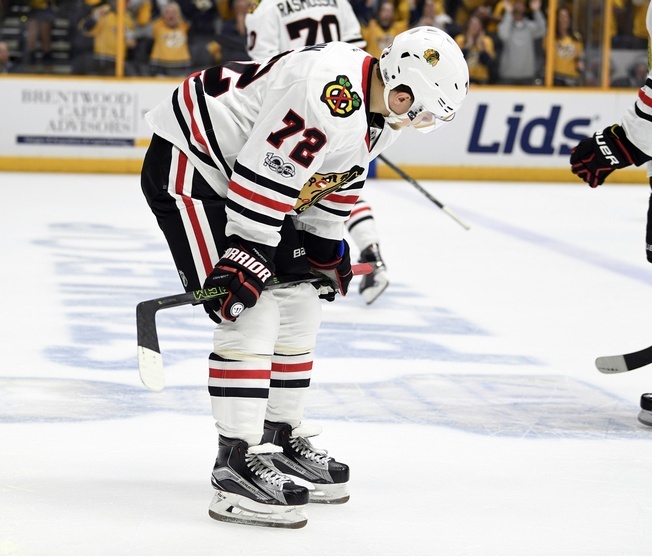 Saad returns to the Blackhawks after two seasons in Columbus. Chicago drafted Saad in the second round of the 2011 NHL Entry Draft and he won two Stanley Cups with the club before he was traded to the Blue Jackets in 2015. He has 232 career points in 368 games with Chicago and Columbus. Chicago also traded Tyler Motte and a sixth round draft pick in the 2017 NHL Entry Draft to the Blue Jackets for goalie Anton Forsberg and a fifth round pick in the 2018 NHL Entry Draft.